SCP-750-KO is to be contained in room Z-229 of Site 222K in section I-3. The containment chamber door should be double-locked and no less then than 3 LED lighting fixtures are to be installed facing towards the subject. All personnel are strictly forbidden from accessing and researching SCP-750-KO and must have a level 2 clearance level or higher in order to conduct an interview. When SCP-750-KO causes any anomalous events or Anderson Robotics personnel are discovered, personnel are to report to MTF Gamma-13 ("Asimov's Lawbringers"), which is deployed near room Z-229 or to Dr. Lee Sung Bin, head of section I-3, Site 222K. SCP-750-KO is to be contained in room HT-021-R, which is of a rectangular shape consisting of lead, steel, and titanium. It is 3m wide, 4m long and 3m high. A lighting fixtures capable of emitting light of about 10,000 candela or more should be placed throughout the facility and should be continuously operated by an automatic power supply system. An EFN-111 electromagnetic system with a radius of 6 m and a height of 2.3 m should be placed around HT-021-R at a distance of 10 m from the relevant room. The EFN-111 electromagnetic system is to be maintained in "Low" mode in normal situations and is to be set to "High" mode if a breach event occurs. All personnel are strictly forbidden from accessing SCP-750-KO and must have a clearance level of 3 or higher. When SCP-750-KO causes any anomalous events or any Group of Interest Members are discovered, personnel are to report to MTF Gamma-13 ("Asimov's Lawbringers"), which is deployed near room Z-229 or Dr. Lee Sung Bin, head of section I-3, Site 222K. Description: SCP-750-KO is a military humanoid unit which stands at 1.96 m tall and weights 160 kg. The subject has an exoskeleton and an endoskeleton structure, and the endoskeleton is connected to a gas mask made of a steel-like metal. The gas mask can turn all forms of gas into electrical energy and supply it to subject through the endoskeleton. SCP-750-KO's exoskeleton consists of steel, silver, copper and stainless steel, whilst the endoskeleton consists of aluminum, silver and copper. The molecular structure of the exoskeleton and endoskeleton have an artificial lattice form. 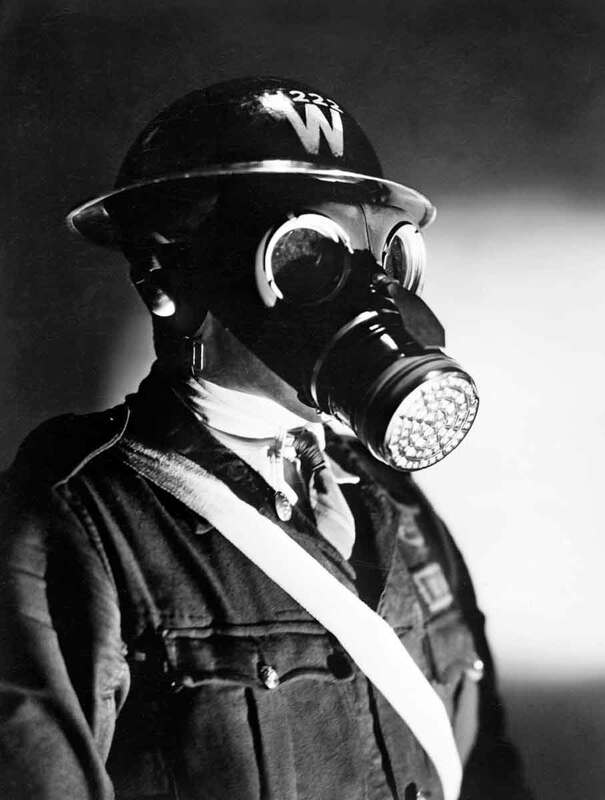 The head of SCP-750-KO has the phrase "W-222" engraved on it. In addition the subject has a symbol of "Schutzstaffel" on its right wrist, and the logo of "Anderson Robotics" and "Marshall, Carter, and Dark Ltd" on its left ankle. Shoulders - The inside of the shoulders contains a substance that can cause heart attacks and the erasure of memories. The substance has fluidity and the main causes of the substances affects, heart attacks and memory erasure, is still unidentified. SCP-750-KO can administer the substance through the thumb, the middle finger, and the pinkie finger. In addition, When the supply of the substance is exhausted, it begins to be produced in the endoskeleton. Arms - About 300 special bullets made by Anderson Robotics are located inside of each arm. The bullets are 30 caliber, and the muzzle velocity is about 1300 m/s. The subject can shoot bullets through its Index finger and ring finger. When the ammunition has been exhausted, it begins to be produced in the endoskeleton. In addition, when a bullet is shot, the sound produced is recorded at less than 5 dB. Left side of the head - A button with a radius of 5 cm, consisting of silver and copper can be found on its left side of the head. The button produces a second exoskeleton around the subject's normal exoskeleton. This second exoskeleton has a molecular structure similar to carbon nano-tubes, and provides immunity to nearly all forms of attacks and explosive weapons. 8th SS-cavalry division "Florian Geyer" photographed during World War II. At the front, SCP-750-KO is leading the unit. The endoskeleton of SCP-750-KO has a power production facility that can transform its electrical output into kinetic energy. The subject can run at an average speed of 50 m per second through the use of this power production facility. The subject also has an internal device that allows it to become transparent. This transparency can be continued for up to two weeks, however, the subject can deactivate it whenever it wants. SCP-750-KO can also feel heat or cold depending on external sources of pain or the temperature of macro-environment, This was confirmed to occur on all of skeletons except for the second exoskeleton, although no nervous system or similar devices existed inside of the subject. The cause of the phenomenon is currently unknown. SCP-750-KO has a strong adverse reaction to light, greater than a steady luminescence. As the high intensity discharge shut-off system in the subject, which is attached to objects recognition device to protect and supervise Marshall, Carter, and Dark Ltd's facilities, was damaged by The Chaos Insurgency during the suppression event in 2003, The high intensity discharge shut-off system is vulnerable to serious damage through the visual recognition device, if the system is exposed to light higher than about 10,000 candelas. The first time SCP-750-KO discovered by foundation's network was during a conflict between two groups of interest in Gwangyang-si and Jeollanam-do in South korea during 2003. At the time of deployment, The Chaos Insurgency and Anderson Robotics members were engaged in a conflict, and SCP-750-KO was discovered by MTF Gamma-13("Asimov's Lawbringers") which was deployed to quell the conflict between the two groups of interest. Two Anderson Robotics members were arrested at the scene, and four additional documents that related to SCP-750-KO were collected. The following message is from Anderson Robotics to MC&D. Languages supported: English, Korean, Japanese, and Russian. The high intensity discharge shut-off system. Endoskeleton and connected Gas Mask. device capable of producing a 2nd exoskeleton. Energy conversion and generation system. Substance capable of producing Heart attacks & Memory-erasure. 200 extra bullets & suppressor. #11 has been programmed to take commands only from you and MC&D members. If you'd like to change this, there will be a NOT gate in the shipment that we sent you. Insert the logic circuit into #11's back and input the signal "0". Then, A touch screen which is installed to its back will be activated. After that, Enter the MC&D identification code on the screen. Then, you can edit the user list by running "OPLC" program located in lower left of the screen. If there's a problem or you are unsatisfied with PSHUD #11, There will be a AND gate in the storage that we sent you. Insert the logic circuit into the #11's back and input the signal "1" on both sockets. Then, your request will be transmitted to Anderson Robotics in 30 minutes. This time we trust that model PSHUD #11 gets the job done and protect MC&D facilities and members. We hope that facility restoration and personnel security are carried out with confidence. The following is a letter from Deishas Julian, 3rd SS-Armored division "Totenkov" to Herr Rass, a member of The third Reich during the World war II in November, 1943. Hi there, Rass. How are you these days? I'm sorry I haven't written to you for a long time. I'm writing this letter because I have something to tell you. A week ago, as you know, there was action with the Soviet Union in Hungary. 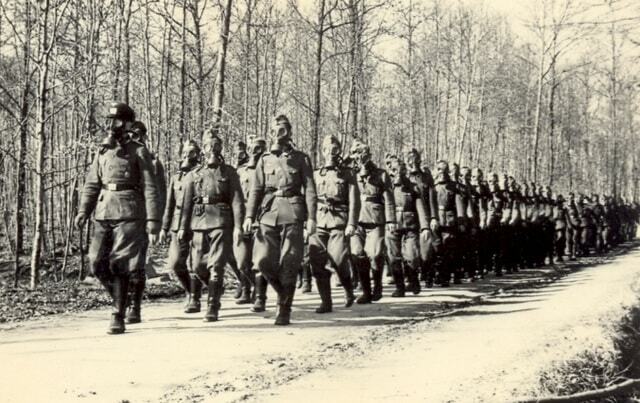 We deployed a lot of units to 10 o'clock including The 8th SS unit. However, there's a catch. W-222 has started rejecting commands, and eventually exploded in the presence Mr. Fegeline. And then, when he tried to kill Fegeline, the soldiers attempted to prevent him. But it didn't work. Fortunately Mr. Fegeline survived… The rest of them didn't make it. Now, he has run away and disappeared to somewhere. Soon, A new division will be formed to locate him. According to Josef Mengele, Since the AI you programmed was too intelligent, this accident was bound to occur. Thanks to this tin friend, the soviet union could easily invade, and countless German soldiers were killed or injured. We could barely beat them by sending reinforcements, but the situation was already resolved. Many higher ups including Mr. Himmler said they felt very disappointed in you. Mr. Himmler's messenger will probably visit your home soon. He said He has "something" to tell you. But don't worry. Mr. Himmler is not Eichmann, so he is just going to give you a some reproach. Anyway, That's all I want to say. I'll send you a letter again before long. Until then, take care of yourself. The following message is from MC&D, addressed to The Chaos Insurgency. Hello. I'm Talent Menéndez, A Marshall, Carter, and Dark Ltd Marketing Manager. I'm writing this letter to warn you. Lately, You tried to seize the droid that we owned. Thanks to you, Major facilities in our company were paralyzed or opened to the public, Countless Company employees were killed or seriously injured. Originally, We found this droid after World War II, and you guys saying that we've taken the droid from you? I think that's a very contradictory argument. According to our research, You guys were discussing the issue about how to put the SCP foundation through trouble. That is, You didn't care about anything relating to our droid at that time. But what do you want us to do when you suddenly change your mind? Anyway, If you keep on doing things like this, Our company won't stand still. Anderson and his friends promised to help us, So you'd better be ready. Considering the move that we are going to make? Well, I leave it to your imagination. The following message is from The Chaos Insurgency to MC&D. Hello, Mr. Menéndez. I've read your letter. First of all, What I want to say is you people had better be ready, not us. The discussion that we had after the war is How to take down the SCP foundation with W-222. And like I said, we discovered this droid first. It was a gift which Joseph Mengele was preparing for us when he was helping plan our retreat. Although the droid was heavily damaged, Wouldn't it be all right if we repair him? So, we went to collect our tin friend. However, When we looked closely, there was only a spider web and tiny lump of dust where the droid was sitting. That's right. You people had taken our droid. And you are saying we made a contradictory statement? Can't you recognize that the situation has completely changed? We discovered this droid first, and the looting has been caused by MC&D. So why you are saying that we plundered this tin friend first? We think the argument of MC&D is a contradiction. Anyway, I want to tell you something. We, The Chaos Insurgency, are ready to fight our enemies. I think you'd better be ready, rather than us. The following is a record about one of Two Anerson Robotics personnel arrested during the suppression. Foreword: The following recording deals with an interview between Agent Griggs and Cho Soo Ho, An Anderson Robotics employee. Cho Soo ho is an employee of Anderson Robotics, along with Gespenst Rodbird who was discovered at the scene. Our findings on inquiry were that these two members were confirmed to be the only survivors who were discovered at the scene. Agent Griggs: Please take your seat. Cho Soo Ho: Thank you. Agent Griggs: First of all, Please state your name for our record. Cho Soo Ho: I'm Cho Soo Ho, director of sector B07 in Anderson Robotics. Agent Griggs: How are you related to Rodbird? Cho Soo Ho: She is my friend. She is also my coworker. Agent Griggs: I see. So let's get down to business, Was SCP-750-KO created by Anderson Robotics? Cho Soo Ho: So to summarise, That's not our work. This droid was made in Germany during World war II, he was damaged and rusty in the underground base in Hamburg after the war, and MC&D discovered it by accident. Agent Griggs: Did they only make SCP-750-KO? Or they make others? Cho Soo Ho: They made others. Agent Griggs: When did they specifically start to produce it? Cho Soo Ho: Well… It was 1936 when Hitler commanded Project "Reversal of ReversalUmkehrung der Umkehrung", That's when the droids started to be produced. Agent Griggs: Can you tell us more about the project that you mentioned? Cho Soo Ho: Project "Reversal of Reversal" is a military robot unit production project that Nazi has been running since 1936. It was created, on Hitler's instruction, to secure buildings and occupy the enemy bases efficiently, to deliver operations rapidly, and to protect key Nazi members. Agent Griggs: Was SCP-750- KO also one of the results of the project? Cho Soo Ho: Yes, he was. He joined 8th SS-cavalry division "Florian Geyer" and he participated in many actions with Herman Fegeline. At the same time, many Jewish people and civilians were killed by his hand. Agent Griggs: What conflicts did he participate in? Cho Soo Ho: Well… If I remember correctly, the Babi Yar massacre, the Belarus scorched earth policy, and the suppression of the Warsaw uprising. Agent Griggs: What did military officers think of SCP-750-KO? Was it positive on the whole? Cho Soo Ho: It was. Wherever he went, the Allies began to retreat or surrender. PSHUD #11 was the most capable droid they've ever produced. Even Hitler went from Berlin to Munich in order to meet him. Agent Griggs: And SCP-750-KO was then found broken at an underground base in Hamburg, Germany after the war. And MC&D discovered it, right? Cho Soo Ho: You know it very well. Agent Griggs: Did SCP-750- KO get broken down during the war? Cho Soo Ho: Nope, I'm afraid it's not. He is a really strong droid. You can't destroy it in any way. Rather, The Nazis abandoned him. Agent Griggs: Abandoned? So he was abandoned and left all over the floor? Cho Soo Ho: Yeah. The Nazis neutralized PSHUD #11 and put him in an underground base in Hamburg. Agent Griggs: Why did the Nazis no longer want to utilize SCP-750-KO? Did he cause a "malfunction"? Agent Griggs: A blue light? Cho Soo Ho: Judging from our production standard, Probably an "Artificial emotional deadlock error" Indicator lamp was lighted up. Agent Griggs: Is it common for an AI to protest like that? Cho Soo Ho: It's not entirely unknown. As you know, The AI is difficult to make and control. Even with technology like Anderson Robotics. If you set it too low, it's meaningless. And if you set it too high, you can't control it. Probably Herr Rass, a person in charge on PSHUD #11, caused this, as he had programmed the AI's intelligence too high… said our company's engineers. You know who Herr Rass is, right? The founder who initiated the fourth Reich after the war. Agent Griggs: I think SCP-750-KO was "malfunctioning" because "Herr Rass" took charge of it. What do you think? Cho Soo Ho: Well, Some people have the same thoughts as you. According to the report, #11 acted as if he had a "real human soul", not like "emotionless and empty tin robot". Agent Griggs: I understand. Is this a reason why Herr Rass left the third Reich? Cho Soo Ho: No, It isn't. But it was a shock to many people at that time. While eastern front was being shoved by Soviet Union, They were betrayed rather than utilizing a high-tech mechanical soldier. Maybe this is the origin of why the royal guards started viewing Rass unfavourably. Agent Griggs: Can you tell us what happend to SCP-750-KO since then? Cho Soo Ho: The Nazis have destroyed related documents to prevent embarrassment, but some people already know about it. He helped the Jewish people escape, smashed Reinhard Heydrich's tomb, rescued civilians on the front line… What's more, I heard there are several cases to Allied records that he passed the Nazi's classified information through to the resistance. So he was by himself for about three months, and he was captured and neutralized by the 001-Armoured division. Agent Griggs: How did they neutralized SCP-750-KO? They used tools like purpose-built weapons, or Remote control device, or others? Cho Soo Ho: They could neutralized it with blueprints for #11 that the Nazi scientists gave them. If it wasn't for blueprints, The 001-Armored division would have been kicked their asses by #11. Cho Soo Ho: Don't know, but I heard that MC&D had ownership, but that all burned out when The Chaos Insurgency attacked them. Agent Griggs: That's what happened. I understand. Cho Soo Ho: Well, that's all I know. Besides, I don't know anything about it in detail. Agent Griggs: That's good. Let's call it a day. Agent Alexey, I'd like to ask you to take Mr. Cho Soo Ho outside. Closing Statement: After the interview, Cho Soo Ho said he'd like to join the Foundation. Also, Rodbird who arrested with him, has taken the same stance. This request is currently pending, additionally an interview will be conducted about Cho Soo Ho and Rodbird.